Today’s Occult is a G.A.P. : Kin 239; Blue Overtone Storm. The G-force of Kin 22 is 8.2, Kin 28, Yellow Lunar Star, which also appears on the 7:7:7:7 card for today. The ‘Harmonic of Polar Light” is 288-260 = 28. The PSI for these 3 days is G.A.P. Kin 154, Spectral Wizard, which also codes our GSC, and whose G-Force of Galactic Seed codes our Cube Kin James, and our Galactic Synchronization in 2013. Happy Galactic Birthday to S’ace! Kin 22 was among the first to comment at this blog, and his prolific and creative input is thought-provoking, encouraging and appreciated! Seal 2. Wind. The Mandala has “already been laid out since the beginning.” Wind communicates Spirit, the essence of which is the Mandala of the original order. Wind or High Priestess “holds the Power and Spirit of Prophecy at the second light gate–the Darka Pole–the South Pole of the Galactic order**. The High Priestess exemplifies Spirit as the command of Prophecy.” GK-Uranus ; Core; Equatorial Regions; Heart. LIMI 27: Corresponds to Kin 199, Blue Self-Existing Storm, which codes the Heart Oracle of this year’s “Awesome Vast Blue Sky” Bolontiku, and the 6th of the 7 Last Moons of the 13 Baktuns. The 6th Mystic Moon, coded by Kin 207: Blue Crystal Hand is also fractally time-compressed into LIMI 27. Today is also the final 21st day of the ‘extended’ Cube. The 7:7:7:7 calls Limi 27: TELEPATHIC MEMORY. Telektonon Day 27: Bolon Tiku: The Summoning of the conscious power of 9. Having received the summoning power of the 13 Oxlahuntiki, today Bolon Ik receives the power of the 9 Lords of Time, Bolon Tiku, the summoning power of 9 in the unconscious. (13), next to his, and with the same jade mask which denotes an equal spiritual attainment. 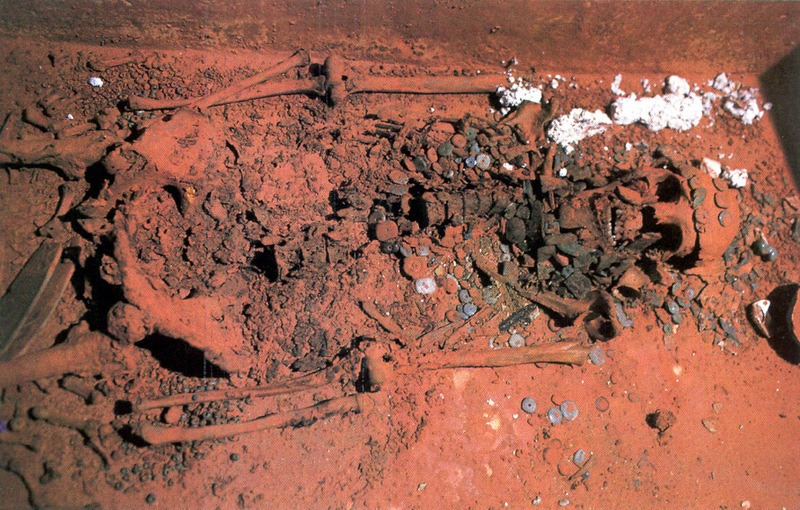 When discovered in 1994, she was covered in red cinnabar and is now known as the Red Queen. This current news report shows how much the concept of a Queen has changed: http://www.whoownstheworld.com/about-the-book/largest-landowner/ ‘Queen Elizabeth II… is the legal owner of about 6,600 million acres of land, one sixth of the earth’s non ocean surface. She is the world’s largest landowner by a significant margin’, and the richest individual on Earth! When we have returned to the Natural Harmony of the 13:20 Frequency, such inequities (and even the concept of ‘ownership’ of our beautiful Earth) will cease to exist. The Code Spell for Kin 21, Red Galactic Dragon is: “I Harmonize in order to Nurture. Modeling Being, I seal the input of Birth with the Galactic tone of Integrity. I am guided by the power of Life Force”. Galactic Monkey is the Antipode and 18.8, Galactic Mirror is the Analog of Kin 21. Galactic Dragon’s G-Force is Blue Crystal Eagle, and the PSI for the last 3 days of the Planetary Moon is always White Spectral Wizard. Seal 1 Dragon. The compassion for sentient beings has “already been performed since the beginning”. Dragon nurtures compassion for all beings. 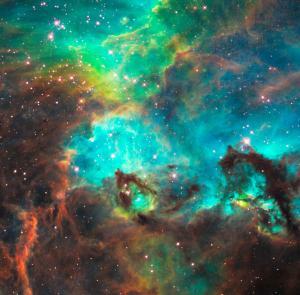 Dragon or Primal Force holds the position of the first light gate-the Marka Pole-at the North Galactic Pole. The Primal Force exemplifies being as knowledge. GK-Neptune; Cardinal; Northern Regions; Throat**. ALPHA 26: Release; GK-Pluto; Throat**: “My Country is the Unborn Ultimate Sphere. I Release the Double-Extended Electron at the South Pole.” TIMESPACE; St. John of Patmos; Sirius. Build the right side of the Radion Cube. We ‘Sound the Fifth’ by laying the fifth line of Codon 45; Ocean of Presence: ██████████ (Yang; TIME) on the Front of the Cube we are ‘constructing’ around ourselves. ALPHA 26 corresponds to the 5th Solar Witness, White Electric Mirror, and the Moon coded by it: Moon 198. The 5th Mystic Moon of 2013 is coded by Kin 206: White Spectral World-Bridger. Today is the 20th day of the ‘extended Cube’ of Planetary Moon: TELEPATHIC MEMORY’. Telektonon Day 26: Oxlahuntiki: The Summoning of the conscious power of 13. Summoning the Power of Time, the Oxlahuntiki, Bolon Ik sends Pacal Votan the Telecosmic Number Power of 13 to help him complete his conscious power of Prophecy; (7). This statement contains the elements of our focus in establishing the 441 Cube of Truth. Even the page number reminds us of our GM108X Day-out-of-Time which is happening in only 58 days. TMQ first encountered the term ‘GM108X: Galactic Mayan Mind Transmission’ while reading a booklet she bought on her first trip to the Law of Time in Ashland, called “Galactic Meditation; “Entering the Synchronic Order”. 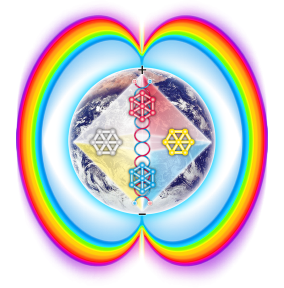 “Through the activation of the appropriate avataric agents, has the Mother lineage thought transmission of the Galactic Maya–GM108X, as it is known–been reestablished on Earth today“. Analog Blue Resonant Storm (19.7) codes the year containing the 12/21/2012 Solstice, and the Seven Mystic Moons of 2013. The G-Force is G.A.P. Kin 22: Solar Wind, the Galactic Signature of Bolon Ik. Seal 20, Sun**. The Heat of Meditation “has already been generated“. 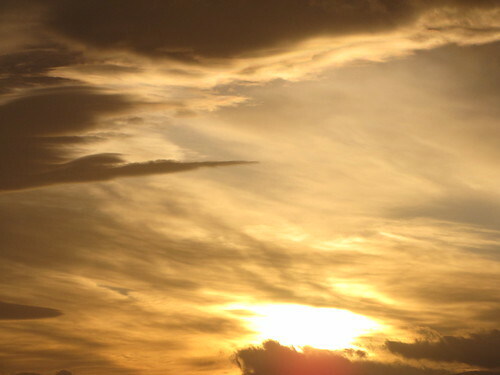 Sun enlightens life as the universal fire of self-generating information. Sun or “Enlightened One exemplifies Enlightenment as the Prophecy of Hunab Ku.” Gk-Pluto; Polar; North Pole; Crown. Catalytic Blue KALI 25: Establish/Catalyze; SP-Pluto; Secret Center: “My Name is the Glorious Lotus-Born. 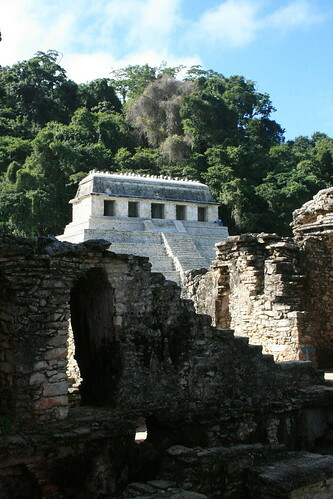 I Catalyze the Light-Heat Within.” Initiation; Quetzalcoatl; Ahua Kin (our Sun**). On KALIs, we build the same side (the Back) on the Radion Cube and Codon Cube 45: ██████████ Yang; TIME. KALI 25: Return of the 4th Solar Witness: Red Lunar Earth, who also codes the 4th of the last 7 Moons of the 13 Baktuns: Moon 197. The 4th Mystic Moon, coded by Kin 205: Red Planetary Serpent (Moi :)) is also time-compressed into Kali 25. This day is the 19th day of the ‘extended Cube’ so it is known as “Self-Generation Recharge“. Telektonon Day 25: Heaven Walk Day Two. Bolon Ik (today’s G-Force) receives power of the Fifth Force, and learns to “bow in submission to God, the Universal Principle of Divine Creation”. On this Pacal Votan Clear Sign day, we send the Telecosmic number power of 5-the center which animates all-to Pacal Votan. Here is a spectacular image from “the physical third dimension of SPACE“. Yellow Resonant Sun is the Galactic Signature of Kurt Godel, an Austrian-American Logician, Mathematician and Philosopher who “is best known for his two ‘incompleteness theorems’, published in 1931 when he was 25…” Godel was born 104 years ago today, so this is his 2nd Solar-Galactic Return! The Kurt Gödel Society, is an international organization for the promotion of research in the areas of logic, philosophy, and the history of mathematics, was founded the same year he was buried at Princeton, in 1978. Another Kin 20 is Sir John Tavener, a British Composer whose works were inspired by sacred and spiritual texts. His Song for Athene 1993, was performed at the funeral of Diana, Princess of Wales in 1997). Following Princess Diana’s death, he also composed and dedicated to her memory the piece Eternity’s Sunrise, based on poetry by William Blake. “An angel amongst fools” — tribute on flowers on the railings outside Westminster Abbey. http://sdo.gsfc.nasa.gov/firstlight/ These stunning photos were taken by the new Solar Dynamics Observatory. The Postulate for 19.6 states: “The Synchronic Order of the Universe, maintained by the functioning of the Law of Time, defines the “Divine Plan“. Prior to the discovery of the Law of Time, the Divine Plan unfolds in the Cosmic unconscious, becoming self-reflectively known to the intelligence of evolving bodies in time only as “Revelation“. Seal 19, Storm. The Sign of Success has “already appeared.” Storm catalyzing energy is the success of the field needing the rain. Storm or “World-Changer” exemplifies energy and self-generation as the Love of Hunab Ku**“. SP-Pluto; Gateway; South Pole; Root. Today we complete the first Solar-Prophetic Circuit of the 33rd Galactic spin. GAMMA 24: Pacify; SP- Neptune; 3rd Eye: ‘My Lineage is the Union of Intrinsic Awareness and the Ultimate Sphere.” MYSTERY; Pacal Votan; Hunab Ku**. We complete the Unified Field Sensory Quantum, and build the Front of the Radion Cube. On Day 3 of each week, we “Create the Triplet” by laying the 3rd line on the Left face of the Codon’s Cube: Codon 45: Ocean of Presence; ████▌▐████ Yin; SPACE. GAMMA 24: TELEPATHIC MEDITATION; Moon 196, Yellow Magnetic Warrior. (Synchronistically, 196 is Valum Votan and Stephanie South’s combined Kin). Today also corresponds to the 3rd Mystic Moon, 2013, coded by Kin 204: Solar Seed, and to the year of Blue Resonant Storm. Today, 19.6, added to the Moon (6.10) and the Year (4.4) equals 9.7 (Resonant Moon) which is the Antipode of Resonant Storm. Telektonon Day 24: Heaven Walk Day One. Bolon Ik and Pacal Votan part again, to return to their respective Navigation Tower and Accomplishment Tower. 24 (6×4) We focus on the Telecosmic number power of Cosmic form: 4. During Week Four, we Become the Victory of Prophecy. Kin 19: Blue Rhythmic Storm codes the Austrian-born American Physicist, Systems Theorist and Author, Fritjof Capra, who was born 8 days after Valum Votan. Capra’s first book, The Tao of Physics” challenged “conventional wisdom by demonstrating striking parallels between ancient mystical traditions and the discoveries of 20th century physics”. Five of Fritjof Capra’s books have become International Best-Sellers. The G-Force of Kin 18 is Kin 16, Yellow Electric Warrior. The PSI Chrono Kin which always codes Planetary 23 is 7.4, Self-Existing Hand, another reminder of the 144. The Antipode, Overtone Star reminds us that only 13 weeks remain until the Self-Existing Star Day-out-of-Time. Seal 18, Mirror. The Distraction has “already been overcome.” Mirror reflects reality perfectly without distortion or distraction. Mirror or “Holder of the Transcendental Wisdom” exemplifies Meditation as the knowledge of Hunab Ku. SP-Neptune; Signal; Southern Regions; Solar Plexus. SELI 23: Flows; SP-Uranus; Root: “My Mother is the Ultimate Sphere. I See the Light.” Avatar; Muhammad; Crystal Earth. Build the Bottom of the Radion Cube. “Build the Binary” by placing the 2nd line: ████▌▐████ (Yin; SPACE) on the Right face of the Cube for Codon 45: Ocean of Presence. White Overtone Mirror is the Galactic Signature of the American poet, Walt Whitman, who once wrote “Re-examine all that you have been told…dismiss that which insults your soul“. When more people follow his excellent advice, organized religions will be the source of many new converts to UR, the Universal Religion. Whitman promoted Transcendentalism: “an ideal spiritual state that ‘transcends’ the physical and empirical and is only realized through the individual’s intuition, rather than through the doctrines of established religions”. Walt Whitman spent his entire life writing his most famous work; “Leaves of Grass”, which “is notable for its delight in and praise of the senses during a time when such candid displays were considered immoral”. 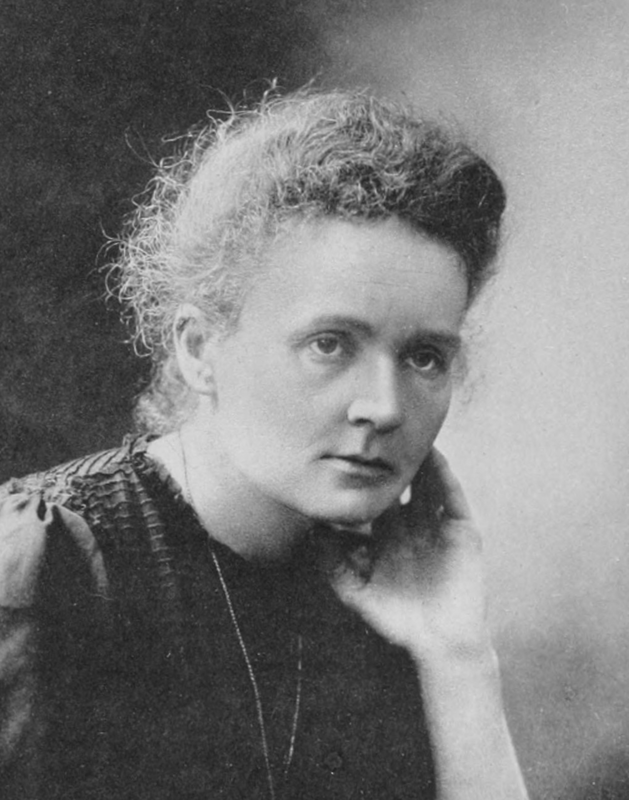 Madame Marie Skłodowska-Curie was the first woman to receive the Nobel Prize. 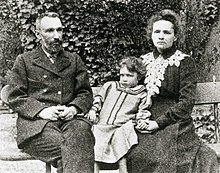 This extremely accomplished Polish Scientist and her husband, Pierre, shared the Nobel Prize in Physics, three years before his death in 1906. She was next awarded the Nobel Prize in Chemistry in 1911. This renowned Physicist and Chemist, winner of two Nobel Prizes, had been unable to continue her higher level studies in Poland, because she was a woman! Our third White Overtone Mirror devoted her life to fighting discrimination against women. 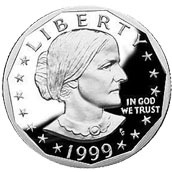 Susan B. Anthony’s life-long efforts (along with less-well known persons) are the reason women can now vote and pursue higher education. TMQ has several ‘Susan B. Anthony Dollars”. This Campaigner for Women’s Rights is the only woman to have her image grace a piece of American money. “MAY PEACE PREVAIL!” kept echoing through TMQ’s mind as her heart resonated with the mournful tunes of the Scottish bagpipe players at the local A.N.Z.A.C. observance. On April 25, 1915, the Australia New Zealand Army Corps landed and engaged in war with Turkey, on the shores of the Gallipoli Peninsula. “The Allied Forces encountered unexpectedly stiff resistance, and both sides suffered enormous loss of life.” Every year, hundreds of Kiwis visit Gallipoli on Anzac Day which is a national holiday. As she watched various sorts of military groups in full regalia, TMQ pondered the irony of the harmonious household of Magnetic Mirror (18.8 and 20.6) which also contains a big Chocolate Labrador named Anzac, and a tiny Abyssinian cat named Oma, named for the Original Matrix Attained- (she first met Valum Votan and Stephanie South exactly 39 Moons ago at Lamat Home. She looks like the cat pictured here). Our two pets (and their names) illustrate the dominating aggressive forces of 12:60 and the intelligent, smaller (but growing) loving and Peaceful aspects of 13:20. As the world teeters on the verge of World War III, let’s do all we can to ensure that we evolve towards the Original Matrix Attained. The Code Spell for Kin 17: Red Self-Existing Earth is: “I Define in order to Evolve. Measuring Synchronicity, I seal the matrix of Navigation with the Self-Existing tone of Form. I am guided by the power of Space”. Antipode 7.4, Self-Existing Hand represents 144 in Mayan notation. Kin 39, Blue Cosmic Storm is the G-Force of today’s Guide, Self-Existing Skywalker. 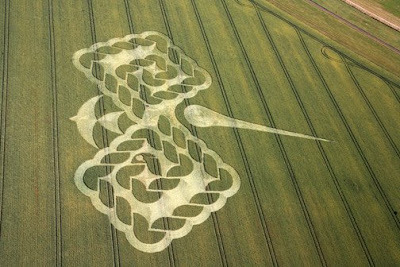 The tone of the Occult, Planetary Seed, matches the tone of this Planetary World-Bridger Moon and of the PSI for Planetary 22: Planetary Serpent. The G-force for Kin 17 is Blue Cosmic Night. Seal 17, Earth. The Union-Practice has “already been done“. Earth, the indivisibility of all-evolving Time and Consciousness, is the Synchronicity (union-practice) of knower and known. Earth or Navigator or “Keeper of the Synchronic Codes” exemplifies Synchronicity as the Intelligence of Hunab Ku.” SP- Uranus; Core; Equatorial Regions; Heart. The Planetary Cube Journey ends Synchronistically on the Kin that corresponds to Solar Prophetic Uranus and the Heart of our Earth, manifesting the connection between the two planets of the critical Third ‘Telektonon Circuit’ which is the object of our Cube Journey each Moon. Week 40 and Week 52 are both coded by the Master Codon 45 which governs this 4th Quarter. ████▌▐████ Lay the Bottom line on the Bottom of the Cube: Yin; SPACE. DALI 22: Target; SP-Saturn; Crown: “My Father is Intrinsic Awareness. I Feel the Heat.” Throne; Christ; Omni-Galactic Source. Today we begin building the Sensory Quantum of the Unified Field Telepathic Time Atom. Each day of Week Four in the 7:7:7:7 corresponds to two Moons: One of the Last 7 Moons of the 13th Baktun (which are coded by the Seven Solar Witnesses), and one of the Seven Mystic Moons between the Moon containing the 12/21/2012 Solstice and our Galactic Synchronization in 2013. DALI 22 corresponds to White Crystal Wizard which codes Moon 194 which begins on April 30, 2012. The 1st Mystic Moon 2013, coded by Kin 202 is also fractally time-compressed into Dali 22. 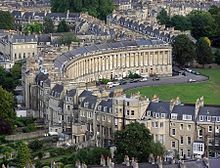 Red Self-Existing Earth codes “one of the most widely read and most beloved writers in English literature,” Jane Austen. 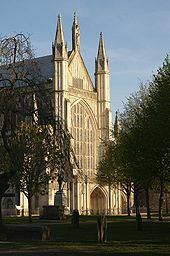 Some of her popular novels were set in the first two locales, and she was accorded the honor of burial at Westminster Abbey. Kin 17 is also the Galactic Signature of several ‘Activists’. Julia Maria Hernandez is an El Salvadoran Human Rights activist. Elijah Muhammad is an American Muslim spiritual leader. Eleanor Smeal is a Feminist who was the President of the National Organization of Women. Toay’s Analog, Blue Electric Night (3.3) coded the last Day-out-of-Time. The Occult, Red Spectral Serpent, is a Pacal Votan Clear Sign. The G-Force is 10.10, Planetary Dog, a kind of ‘Magic Turtle G-Force 🙂 The PSI Chrono Kin coding Planetary 21 is Kin 204: Yellow Solar Seed. Seal 16, Warrior. The Mantra has “already been recited“. Warrior’s intelligence is the sacred syllables that are recited through him. Warrior or Pathfinder exemplifies Intelligence as the Synchronization of Fearlessness with the unknown.” SP-Saturn; Cardinal; Northern Regions; Throat. HUNAB KU SILIO 21: Discharge; SP-Jupiter; Heart: “My Role is to Accomplish the Actions of the Buddha. I Discharge the Mental Electron Neutron at the Center of the Earth.” CUBE; Buddha; Pleaides. SILIO 21 corresponds to the 7th Year of the Mystery of the Stone: AD 2010-2011. “Cube Discharged into the Center of the Earth.” “Heptagonon of Mind of Earth Cubed. Telektonon Day 21: New Heaven-New Earth 2000-2011. “Establishment of the Noosphere as the Kingdom of Heaven on Earth.” “Humanity attains full 4th-dimensional understanding, return to Nature, restoration of the original garden, Planetary cosmic consciousness and Galactic memory.” Only 17 Moons remain to Manifest this beautiful Vision! An Electric Warrior who impressively demonstrates the Intelligence of the Warrior is Patrick Flannagan, an American child prodigy and inventor. As a young child he patented several inventions and accomplished some unique feats. “Flanagan at age eight, invented an electronic sleep machine, aged eleven developed and sold a guided missile detector to the U.S. military, aged seventeen to have gained his air pilot’s licence and was employed by a Think Tank at The Pentagon, and later as a consultant to the NSA, CIA, NASA, and Tufts University…” He also claims the unusual ability to tie 6000 different knots, 4800 by the age of 8.” He invented the electron field generator/microhydron, and so much else. “During the 1970s, Flanagan aroused controversy by becoming a leading proponent of Pyramid power, regarding the alleged power of pyramids having the same dimensions as the Great Pyramid of Egypt, based on the Phi or Golden ratio.” “In 1982 Flanagan and his wife Gael Crystal claim to have discovered a new form of colloidal silica known as a Microcluster in the glacial water drunk by the Hunza people of northern Pakistan, a people who are renowned for their health and longevity. The Flanagans went on to develop a product utilizing the microclusters called Crystal Energy (the ingredients are water, silica, potassium carbonate and magnesium sulfate), which is claimed to lower the surface tension of drinking water. A nutritional supplement was developed using silica microclusters to stabilise the hydride ions, a novel compound known as Silica Hydride . For this work he was named 1997 Scientist of the Year by the International Association for New Science,” Here is a website founde by Patrick Flanagan: http://www.phisciences.com/. It can truly be said of this Electric Warrior that he “seal(s) the output of Intelligence with the Electric tone of Service”. Two days remain in the 16 Day Warrior’s Cube of Intelligence. Today is called the “Noosphere Pause” the last day of the 91 days of the Master Codon, 37: “The Power of the Home: Cosmic Order Informs Time.”, which culminated with Codon Cube 37 in this 39th Week. During this week, we established a ‘Cyber-Home” for our “Cube of Truth”. We also celebrated our Terrestrial Home on the 40th Anniversary of Earth Day.